We have had one incredible week of visitors, conversations, inspiring exchanges and a few good meals. Thanks to everyone who participated in the Educational Workshop at the National University of Art and Culture, the Panel Discussion on Archiving, and the Digital Archiving Workshop. We will be posting photos, video and more information soon. Stay tuned! This entry was posted in Uncategorized and tagged Location - Yangon, Program - Art Discussion, Subject - Art Schools, Subject - Book Archive, Subject - Digital Archiving, Subject - Myanmar Art Archive, Subject - News Blog on November 30, 2014 by Myanm/art. AAA (Hong Kong) and MARCA (Myanmar) have teamed up to bring Myanmar the third edition of the Open Edit: Mobile Library project, generously funded by the Foundation for the Arts Initiative (FfAI). This entry was posted in Uncategorized and tagged Location - Mandalay, Location - Yangon, Subject - Art Schools, Subject - Book Archive, Subject - Myanmar Art Archive, Subject - News Blog on October 13, 2014 by Myanm/art. 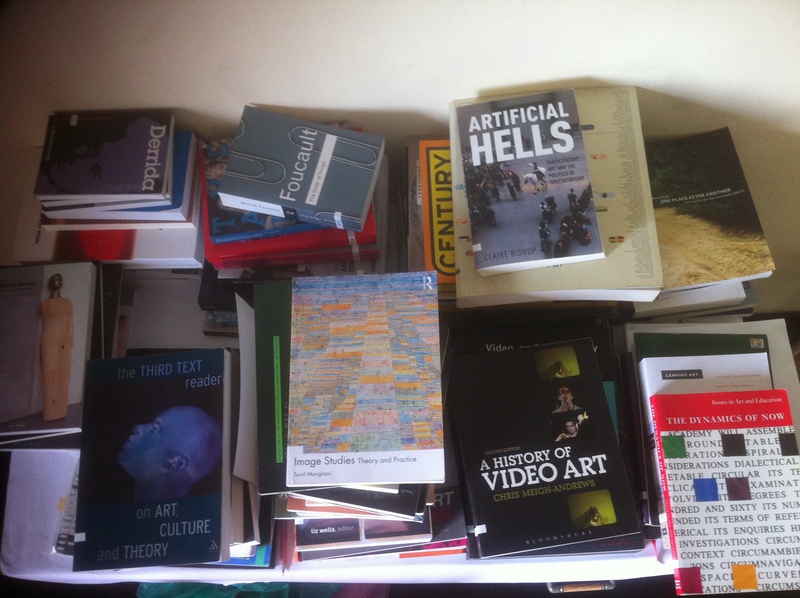 Books donated by artist Nina Rodin for the MARCA reference library.